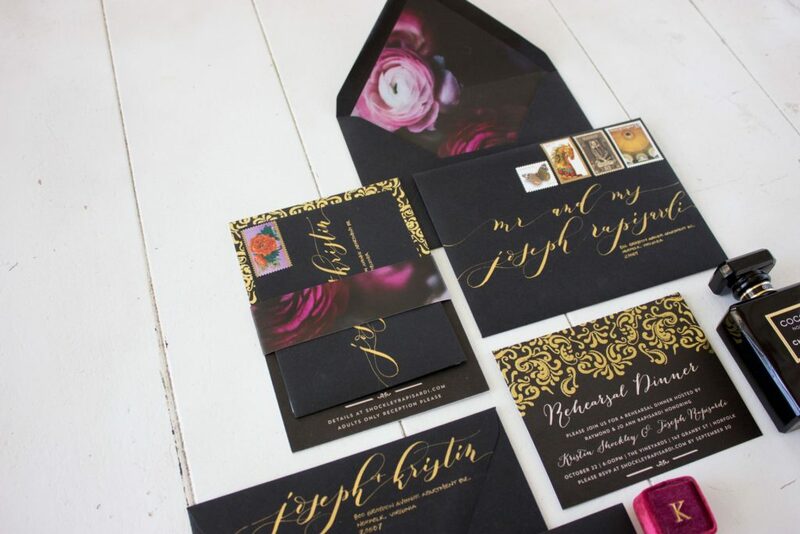 Designing and putting together these black wedding invitations was one of our favorite parts of helping to style this gold and black Virginia wedding. These beauties are one of a kind. We took the colors and feel of these invitations and used them through out the rest of the wedding decor. Your wedding invite and save the date card set the tone for your whole event. These are the first two pieces your guests will receive. So think about what kind of wedding you want as you’re deciding what kind of invitations you want to purchase. Color, paper, texture, stamps and liners all play a role on the impact it will have. 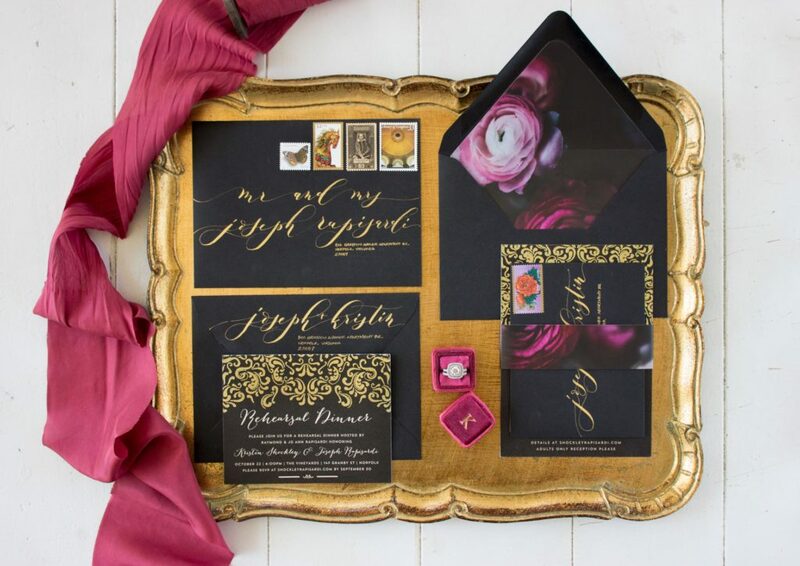 These invites pictured below are pressed gold foil on a black background on luxuriously thick card stock. We just love a good thick paper stock. 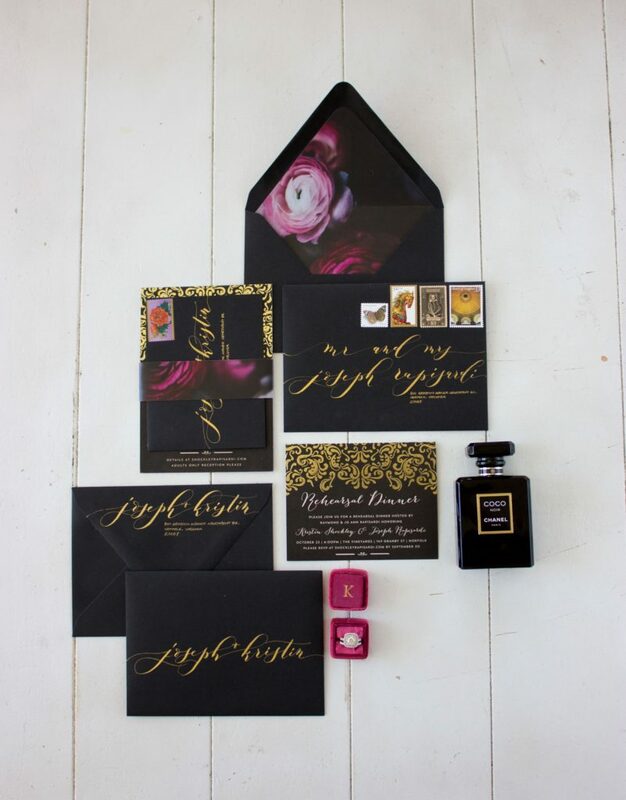 The gold hand lettered calligraphy is to die for. 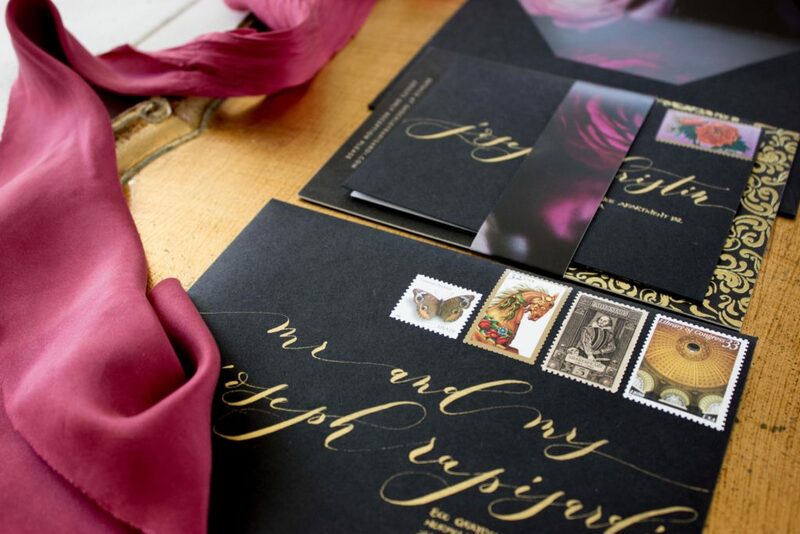 Custom calligraphy for your invites is a bit of a luxury but so worth the extra spend. The images below show everything including the perfect vintage stamps with a corresponding color scheme. 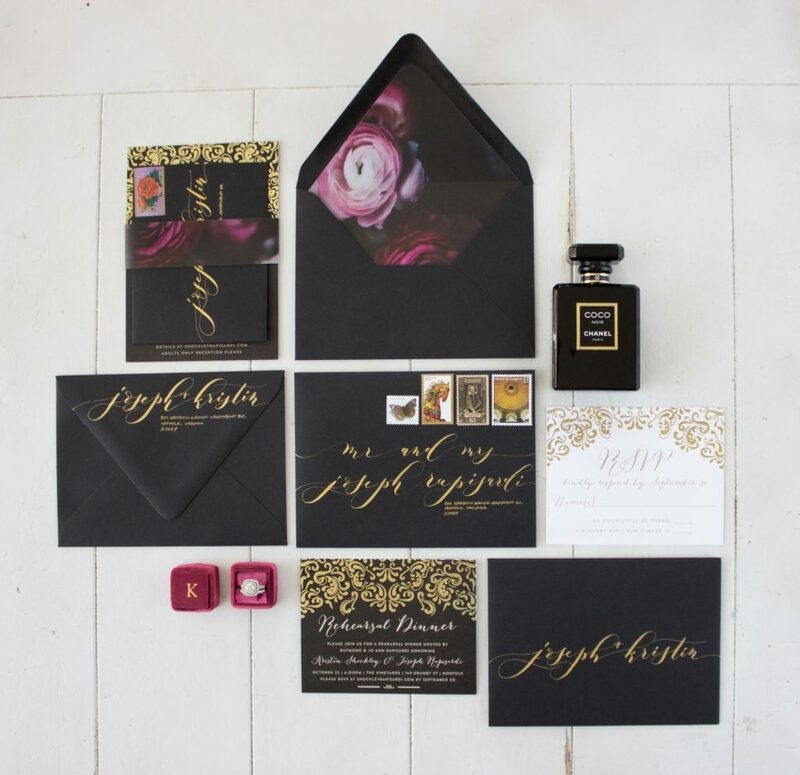 See more inspiration for a black and gold wedding theme HERE.